We’ve been forced to take it slow on this caravan adventure of ours. Although we’re usually the first up (around 5am if my little monsters have anything to do with it), we’re certainly the last to get going. 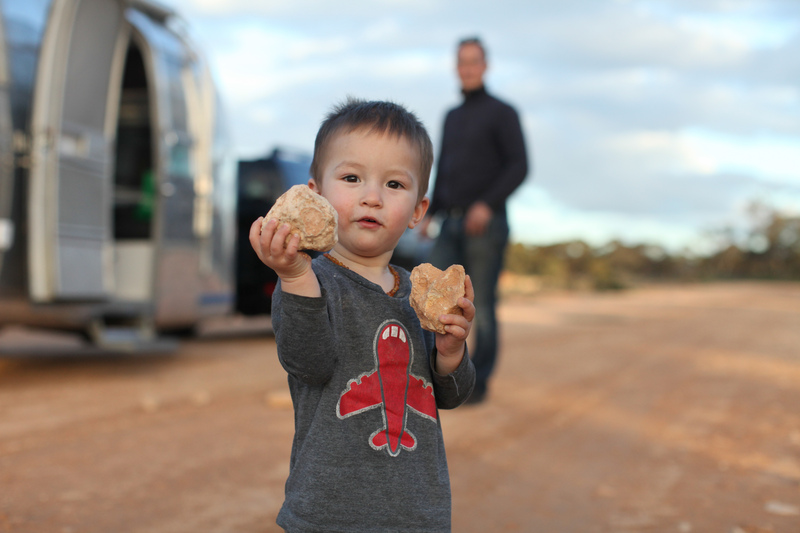 By the time we have breakfast, get everyone dressed, explore the local playground, pack up and go, there’s not a lot of time left in the day for driving. And sometimes we just get stuck for a few days. Bizzarely it’s these moments that have made the trip so far. 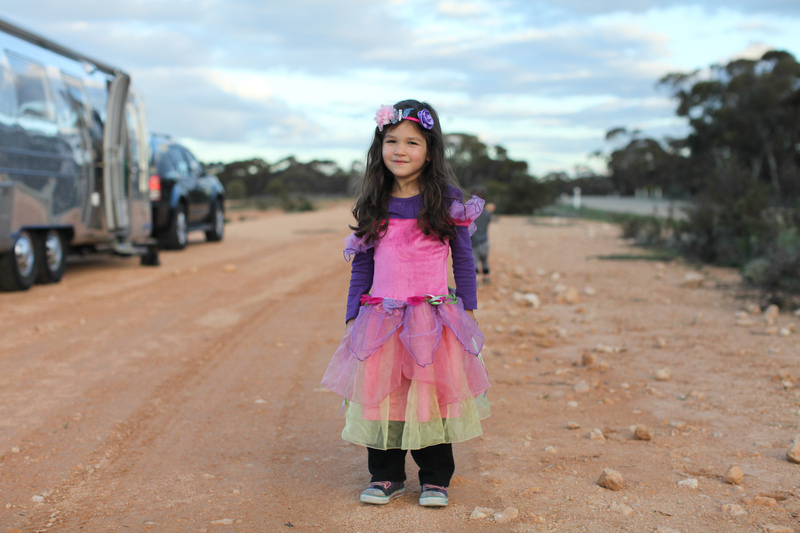 Like the day we were forced to sleep by the side of the road between Swan Hill and Mildura because our marker lights stopped working. 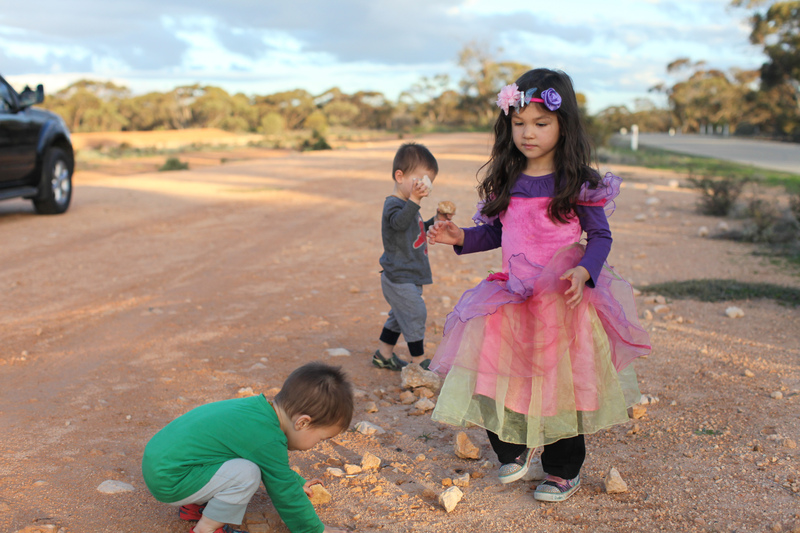 The kids had an absolute ball playing with the rocks in the dirt. They played until the sun went down. Then started playing again as the sun went up. Luckily we have nowhere to be and can just enjoy being stuck. Fantastic! 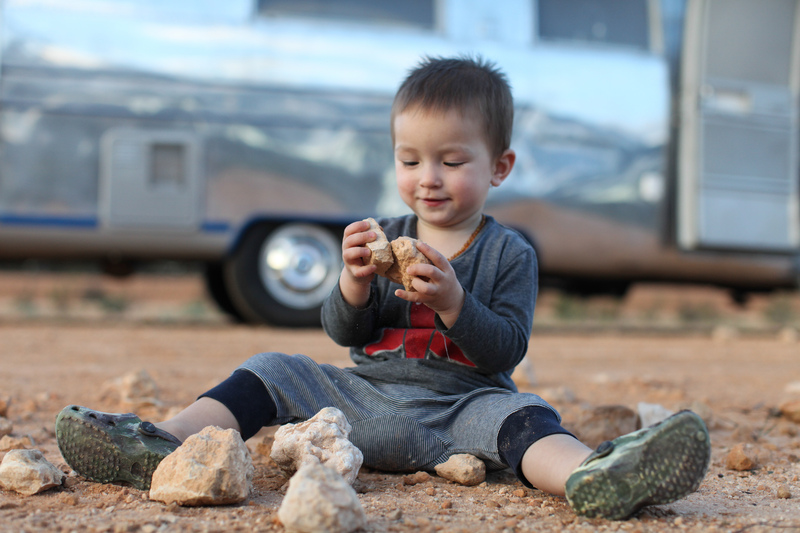 Happy to know the airstream is rolling again (mostly!! )- perfect portraits of blissed out kids! you could be a model for live simple! your photos are great. do you follow Live Riveted? 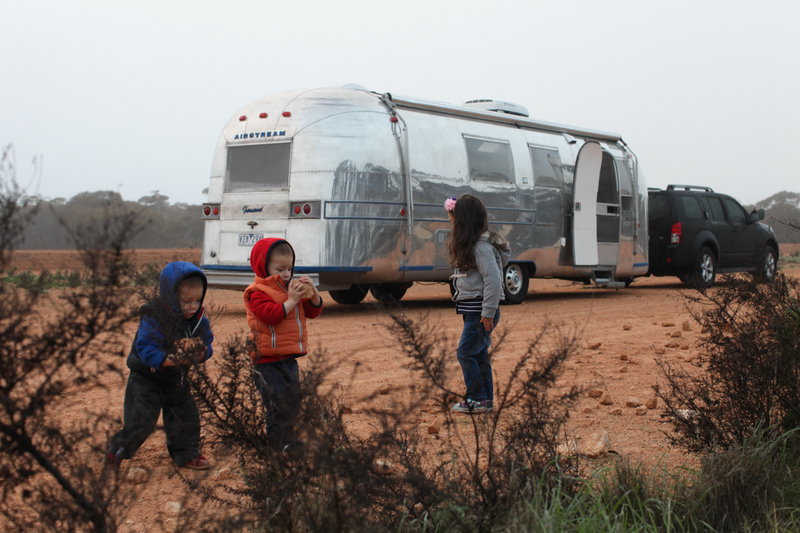 you could enter photos to their weekly posts on facebook (Airstream). 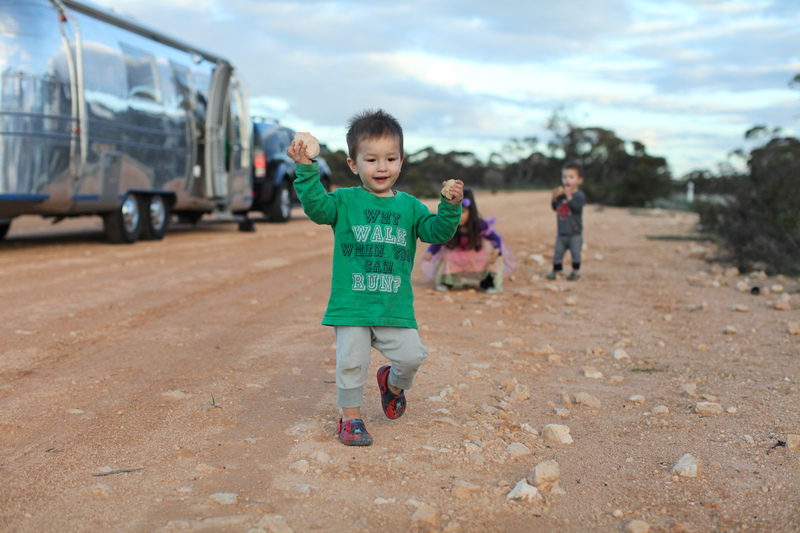 travel safely..
Another great post – love how you have copped with all your little setbacks – very inspiring!